The 2011 UIA Gold Medal was awarded to Álvaro Siza Vieira, Portugal, proposed by the RIBA. Álvaro Siza defies categorisation. Each building is different yet is recognisable. His architecture cannot be duplicated but is a model for young architects. He has never succumbed to facility or fashion. As “the architect“ of the last quarter of the 20th century his work continues into the 21st, constantly pushing forward the level of the challenges facing the profession. The Prize was awarded to Valentin Nazarov, Russia, proposed by the UAR. city. This plan provides for the sustainable development of this great city and the preservation of its unique historical heritage. Throughout the social and political developments of his country, he has constantly directed his efforts to preserve the historical and cultural traditions through the city, up to the point of regulating the height restrictions of the zoning plan. One of the significant elements of St Petersburg’s appearance is its silhouette (the skyline). creative exploration of shelter using paper tubes and membranes for disaster relief. He achieves this without compromising functionality or aesthetics. The Prize was awarded ex-aequo to Kenneth Frampton, UK, proposed by AIA and UAR and to Louise Noelle Gras, Mexico, proposed by FCARM. Kenneth Frampton has contributed to architectural education as an outstanding teacher for more than 45 years. As a distinguished architectural historian and critic he is the author of many major books on the critical history of modern architecture. He has influenced generations of architects and at the same time his work as an author goes far beyond the interest of architects only. history and criticism. As an eminent teacher for more than 35 years, she has contributed to the in-depth study of 20th century Latin American architecture. As an historian and critic, she has been very active in promoting and defending 20th century architecture at the head of many relevant organisations. Their combined work over many years has contributed considerably to the creation of one of the most prestigious schools of architecture in the UK, even worldwide, the Mackintosh School of Architecture in Glasgow. Their contribution to architectural education is not limited geographically as they have taught in many places and schools around the world. The jury felt that the candidatures submitted did not adequately conform to the requirements of the Sir Robert Matthew Prize. No prize was awarded. 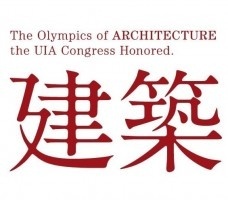 and Cui Kai, Co-Director UIA Competition’s Commission.